Atlanticville, located at 2063 Middle Street, was a Sullivan’s Island institution for 22 years. 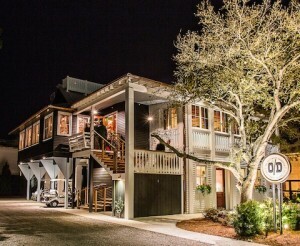 Now only a memory, we wanted to revisit the reputation of the restaurant and explore its lasting impact on the Sullivan’s Island culinary scene by digging up its review and reaching out to the new residents of 2063 Middle Street. 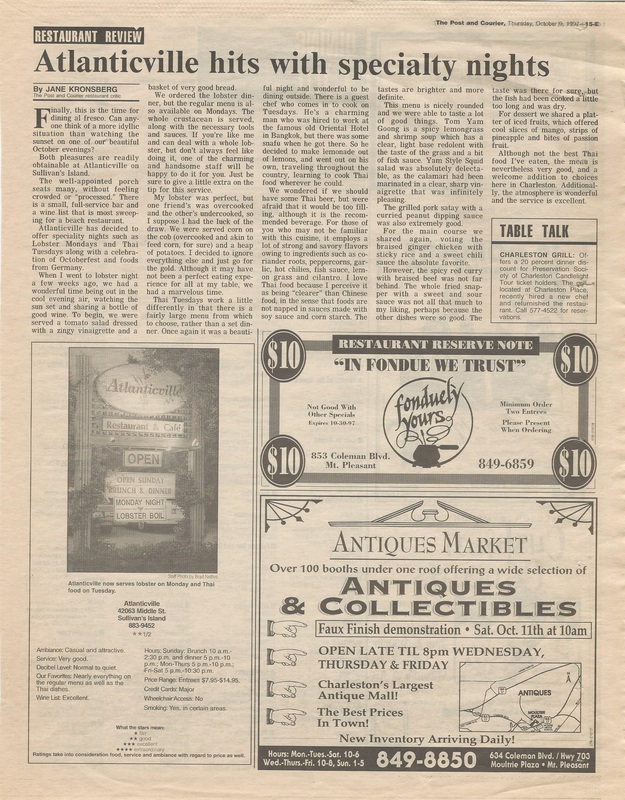 The Post and Courier’s Food Critic Jane Kronsberg reviewed the restaurant on October 9, 1997. Highlighting the establishment’s view and comfortable porch seating, Kronsberg noted the pleasantries of outdoor dining in Charleston during the fall. Atlanticville set itself apart from its island neighbors by steering away from the typical overly casual beach atmosphere and unsophisticated menu. 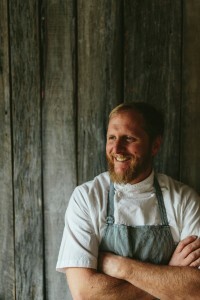 Upon opening, the late Chef Phil Corr was at the helm. He took a risk gambling on the notion that beachgoers would find respite from sun and sand inside his relatively upscale accommodations and be drawn to his integration of locally sourced ingredients. It was a wager that worked. 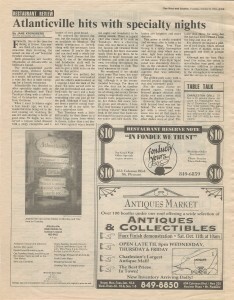 A sister publication of USA Today, The 10Best wrote, “Exceptional cuisine is the hallmark of this relaxed Sullivan’s Island restaurant, and awards rain constantly upon its chef and kitchen.” General Manager Andrew Harris stepped in for the last part of Atlanticville’s two-decade reign and continued to honor Corr’s culinary passion. In 2012 the restaurant closed for what was to be a period of renovation; however, it never reopened and shuttered for good later that summer. While Atlanticville may be closed for ever, it raised the bar on island cuisine, laying a foundation for further refinement of this culinary genre. 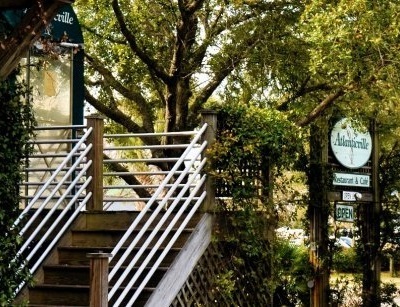 Not long after its closure, whispers of what would replace Atlanticville began to circulate within the industry, growing louder when the owner of Wild Olive Restaurant Group sought permitting for Sullivan’s Island. Soon enough, it was announced that Chef Jacques Larson and the Wild Olive Restaurant Group would open a new venture at 2063 Middle Street. While Charleston and its surrounding islands are certainly in the midst of a culinary awakening, this current movement was surely sparked by the restaurants and chefs of yesteryear. One cannot deny that Atlanticville’s gamble may have incited the desire for more urbane fare on this barrier island. When asking Chef Larson about his influences for the new restaurant, we wondered if Atlanticville may have played a part. Larson: Having moved to Charleston in 1996, I was quite familiar with Atlanticville restaurant and more specifically, Phil Corr. Phil was a “chef’s chef.” His hard work ethic and passion for food mixed with a great sense of humor made him a local favorite. He was also an early advocate of sourcing things locally. After the sad loss of Phil to lung cancer, Andrew Harris took the torch at Atlanticville, and I would most certainly say that he embodied the same drive for hospitality excellence that Phil strove to achieve. These factors have had a direct influence on what we set out to accomplish on Sullivan’s Island. Focusing on using local products, building genuine relationships with guests and delivering high quality food and service in a comfortable, yet polished setting. [This] is still the same goal at 2063 Middle St. The Obstinate Daughter’s Revolutionary War-inspired motif reflects its revolutionary ideologies about beach cuisine. We hope this “Food Fort” defends its stay on Sullivan’s Island—much like its stubborn influencer, Miss Carolina Sulivan— for years to come, and that it continues to carry on so beautifully the hospitality and passion of the chefs and staff who came before.